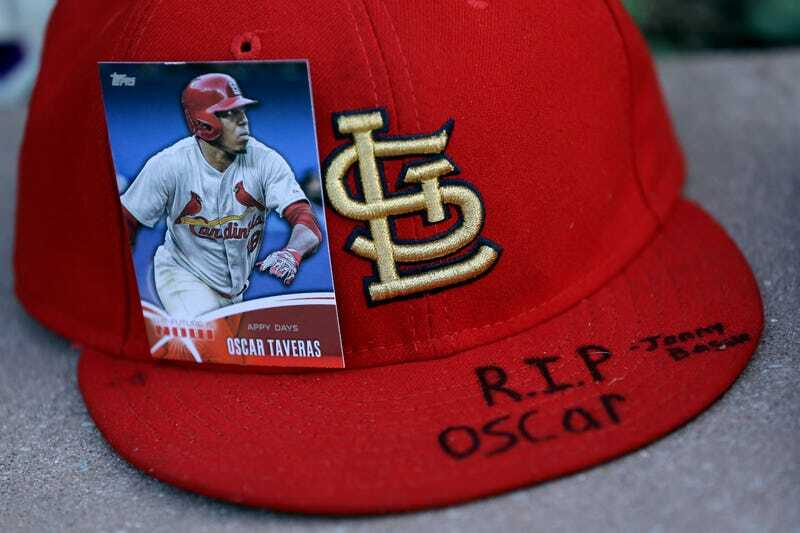 St. Louis Cardinals outfielder Oscar Taveras—who was killed in a car crash two days ago—was laid to rest in Sosua, Dominican Republic today. Thousands attended his funeral, including Cardinals manager Mike Matheny, Carlos Martinez, and Matt Carpenter, according to AP. Below is a series of photos from the funeral and procession. Before Game 6 of the World Series a moment of silence was held for Taveras, and some players displayed their own personal tributes to Taveras.